At 71 degrees, the Pacific is practically a bathtub. So dock your wetsuits for a couple more months and re-up on some surfing britches. Best place to do that? Birdwell. The heritage brand has been stitching Cali-style trunks for the better part of a century, but they just opened their first ever brick-and-mortar in Manhattan Beach. Ideal location for catching some waves. 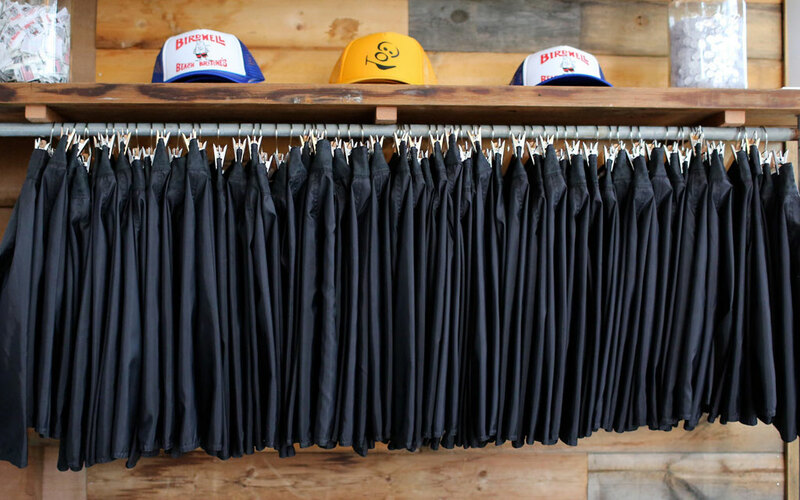 Inside the garage-sized space, you’ll find all of their trunks as well as hats and tees. If you don’t know ’em, Birdwell keeps it simple. Bold pantones in three cuts that ride either close to the crotch (310), hit mid-thigh (311) or drop just over the knee (312). They also peddle some in-store exclusives, like a new line of all-blacks that every L.A. man should keep in the trunk for impromptu pool parties and jaunts to the ocean.